The playwright's new work, I Dream of Chang and Eng, debuts at UC Berkeley's Zellerbach Playhouse. I Dream of Chang and Eng. Philip Gotanda has been dreaming of I Dream of Chang and Eng for about two decades. 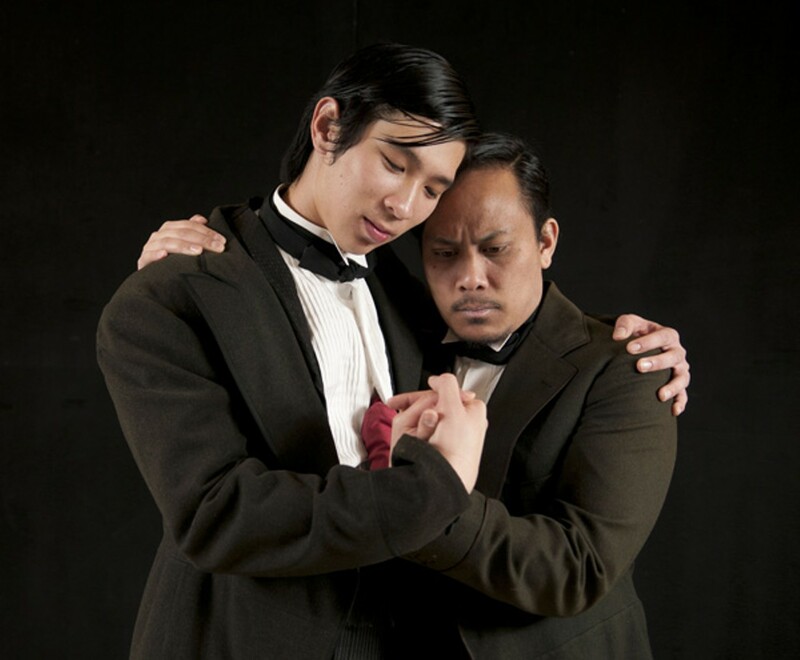 The playwright was first taken by Chang and Eng Bunker — the original Siamese twins, and some of the US' first Asian-American superstars — around twenty years ago, and their story has been germinating in his mind ever since. But when Gotanda, a prolific and critically acclaimed playwright, finally finished the play, he took it not to a big-name repertory company or even a smaller black-box theater — although he certainly could have, with his profile — but to a bunch of college undergrads, scarcely older than the idea itself, at UC Berkeley's Department of Theater, Dance and Performance Studies. It was a bit of a coup, according to show director and department chair Peter Glazer. "It's the first time I'm aware of that a nationally known — and locally, very, very celebrated — playwright has brought the first production of his play here," he said. The collaboration, unlikely as it appears, offers a new model, one that's mutually advantageous for playwright and school alike: While the students got a once-in-a-lifetime opportunity to collaborate with a big name in their chosen field, Gotanda — whose residency was funded by a $40,000 grant — was given a chance to work in a creative environment unencumbered by the typical financial and logistical constraints of the market. As an independently funded theater company whose cast and crew receive class credit instead of a paycheck, Glazer said, he and his students have a rare opportunity to stage plays that might not make it in an increasingly shaky professional theater climate. "Our plays don't fail or succeed because they get a good review or a bad review," he said. "We have the privilege of picking plays that we believe the students and the people around them will be excited by. We have the opportunity to do unusual work." Unusual — like, say, a sweeping, labor-intensive historical drama about Industrial Revolution-era conjoined twins. Chang and Eng were born in Siam in the early-19th century, traveled the world as a circus curiosity, and later settled in the antebellum American South, ultimately bearing 21 children between them. Their story is a near-perfect vehicle for exploring themes of identity. The play's episodic, nonlinear imagining of the twins' lives has wide resonance. "It's a play about how to live in the world when people look at you and think you're different, and it's about what it meant to be racially other in the United States in the 19th century," Glazer said. "These two characters ... become a way of understanding what America and Western Europe was like in the 19th century. It's an American story — I don't know how else to put it." It's indeed a big story, and, thanks to the format afforded by the residency model, Gotanda and Glazer have a chance to tell it in an equally big way. Hiring large casts in the "real world" can be prohibitively expensive, but Glazer got to cast 19 actors in 130 costumes and set the play in 5 different locations. "It's quite an epic," Glazer said. "There aren't many theaters who can do a play like this."